On seeing the asteroid Eros close up, astronomers have been surprised by the apparent modification of the surface over time. But they have not yet considered the possibility of erosion and deposition by an electric “wind”, a process that requires neither air nor water. The caption to this picture (above) of the asteroid EROS from Andrew Cheng's book, Asteroid Rendezvous, calls it: "One of many examples of striking and surprising geologic terrain discovered in NEAR imaging data." 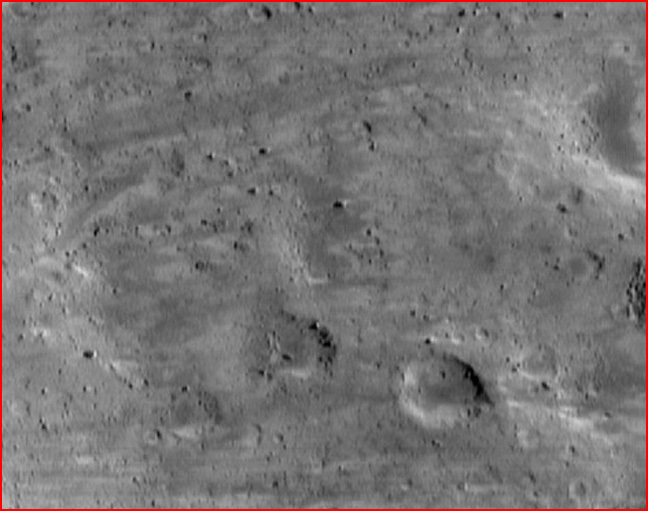 Cheng elaborates, "Small craters are mostly absent and, in larger craters, the rims appear highly degraded and the floors flattened. These morphological characteristics, when they appear on larger planets, typically are interpreted as evidence of blanketing of an older surface. That surface modification processes of this kind could also be at work on such a small object as Eros was a surprise to many astronomers." On Earth, blanketing of an older surface is assumed to be caused by air or water. Gravity presses the air or water against a surface, and lateral motion rubs particles off the surface, depositing them elsewhere. But Eros has no air or water, and its gravity is so light a grasshopper could jump to escape velocity. Degrading rims by friction and flattening floors by sedimentation would be a protracted process, even by geological time scales. But there are other processes of erosion and deposition that can work in a vacuum. Electric erosion doesn't need water; it doesn't need air. A discharge moving across an airless asteroid can fritter molecules from the surface and carry them along with the current. This "electrical wind" can preferentially scour away high points, such as the rims of older craters, and deposit the detritus in low areas, such as the floors of the craters. (However, remember that craters, being the scars of arc discharges, will already have flat floors.) Electric discharge can scour away a surface layer by layer, and it can also deposit new layers of material on top of older surfaces. In the image above, the filamentary patterns of the discharge are preserved in the streaky colors. Now that erosion has been observed on an airless world, it's time to look back on our own planet and ask if all of the erosion that we see here was caused by the accepted methods. Are there features on Earth that would be better explained by electric discharge, especially during times of stronger magnetic fields, enhanced volcanic activity, sudden climate changes and mass extinctions?